Catenin alpha1 antibody recognizes catenin alpha-1, also known as alpha E-catenin, cadherin-associated protein or renal carcinoma antigen NY-REN-13. The antibody has been extensively validated for western blotting using whole cell lysates. Goat anti Human catenin alpha 1 antibody recognizes catenin alpha 1, also known as alpha E-catenin, cadherin-associated protein or renal carcinoma antigen NY-REN-13. 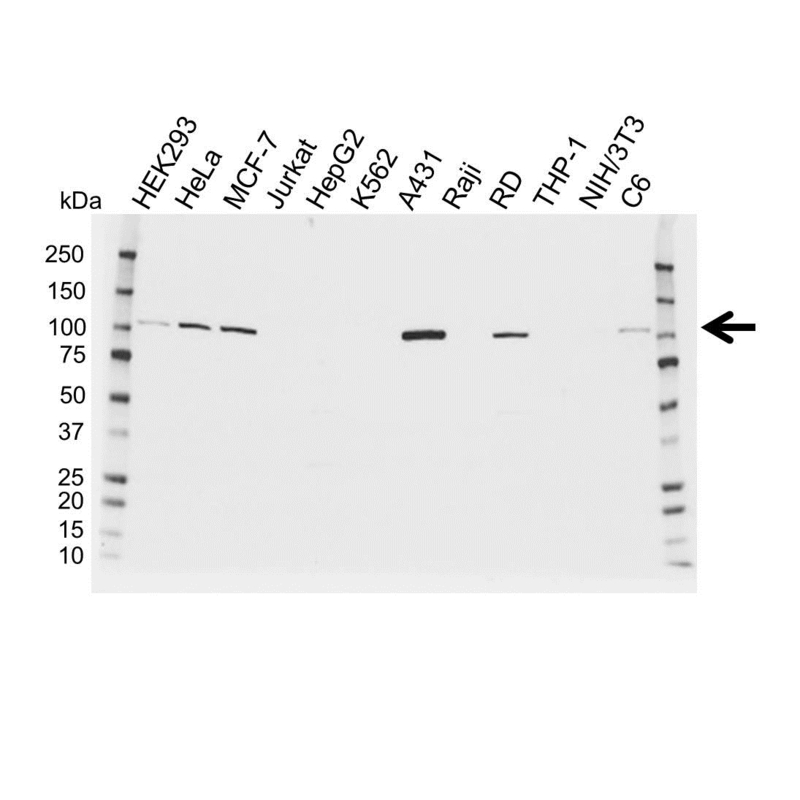 Goat anti Human catenin alpha 1 antibody detects a band of 102 kDa. The antibody has been extensively validated for western blotting using whole cell lysates. Anti catenin Alpha 1 detects a band of approximately 102 kDa in A431 cell lysates. Peptide with the sequence C-KREKQDETQTKIK, from the internal region of the protein sequence.